Got the Summer Blahs? Why not try a Free-To-Play? Looking for a new game, but your wallet is lacking money to afford it? With the recent consumer move to “micro-transaction” or Free-to-Play games, game developers have been releasing more and more games under this model. You do have to be careful not to get pulled into the “Just 5 more bucks couldn’t hurt” thought when you do decide to buy some virtual currency or that cool new spell effect, but as a whole, they provide a great diversion while you wait for the next incarnation of “Super Death Soldier” or whatever game you’re waiting for! Neverwinter – Are you a fan of Drizzt? His continuing adventures will occur in this city in the upcoming books. Set in the Forgotten Realms campaign setting for the Dungeons & Dragons fantasy role-playing game, you can create your alter-ego, and form a party to go and adventure throughout the City of Neverwinter. World of Tanks – features mid-20th century era fighting vehicles. Jump in a tank and enter the battlefield to fight from your metal monster. 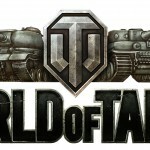 World of Tanks holds a Guinness World Record in the category of Most Players Online Simultaneously on one MMO Server. The record was registered on January 23, 2011 when the number of players on the game’s Russian server totaled 91,311. This record was beaten by the European server on 13 April 2012 during the anniversary special weekend where all players could enter a code to be Premium account holders for a day. Numbers of over 305,000 were recorded during this period. 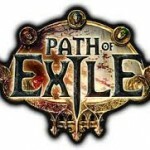 Path of Exile – an online Action RPG set in a dark fantasy world. Often referred to as a better successor to Diablo II than Diablo III was! Self proclaimed “ethical microtransactions” model means you do not have to spend any money at all to advance, unlike most other “Free-to-Play” games. 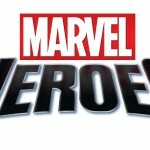 Marvel Heroes – Play as your favorite Marvel hero and fight crime. Rub elbows with the big names in the Avengers tower. Star Wars: The Old Republic – takes place in the Star Wars fictional universe shortly after the establishment of a tenuous peace between the re-emergent Sith Empire and the Galactic Republic, 300 years after the events of the Star Wars: Knights of the Old Republic games, and more than 3,500 years before the events in the Star Wars films. 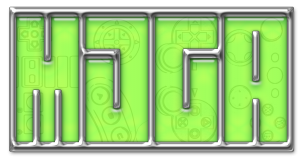 Rift – set in a fantasy world called Telara, which is the focal point of several different elemental Planes. These Planes are realities representing the elemental forces of Air, Fire, Water, Earth, Life, and Death, and it is at the one point where every one of these Planes intersect with each other that Telara exists. Join the never-ending fight to control Telara. Star Trek Online – set in the 25th century, 30 years after the events of Star Trek: Nemesis. Captain your ship and fight Klingons, beam down to the planet and Go where No One has Gone before! Lord of the Rings Online – set in a fantasy universe based upon J. R. R. Tolkien’s Middle-earth writings and Peter Jackson’s Lord of the Rings films. It takes place during the time period of The Lord of the Rings. Is there one we missed? Send us a comment with whatever game you are playing that is Free-To -Play! Comments Off on Got the Summer Blahs? Why not try a Free-To-Play?